Guys, how would you like 10 hours a week back in your business? Well, I’ve got 3 really good tips to show you how to do that. So, point number one: let’s be blunt, guys – there is no such thing as time management. You cannot hit pause, you cannot stop; let’s just face reality on that. We cannot go and create 8-day weeks; it’s impossible. So there’s no such thing as time management. What there is is self-management – you’re in control of your time. You’re the one who needs to make a difference in your time, nobody else. One of the keys that you want to be able to do that is learn the most powerful word in time-management or self-management – and that is No. Learn that wonderful ‘No’ word – it will make a difference. So point number two: what we want to focus on is – have a timetable. We don’t get a lot of stuff done in our business because, reality is, we don’t set a timetable down. We don’t say we’re going to spend that time in your diary on marketing – and that’s all you actually go and do, or sales or customer service. All we’re doing is running around, trying to look after the customers and we don’t set time to go and do the stuff that’s important to be able to grow our business. So, get a timetable guys. Look at martial arts: you just can’t turn up to a martial arts school and say, ‘Hey, I’m going to train at 9 o’clock on Monday morning’. There may be martial arts schools out there that do, but reality is, most martial arts schools you turn up Monday, Wednesdays and Fridays, let’s say – and that’s the only time you with training. 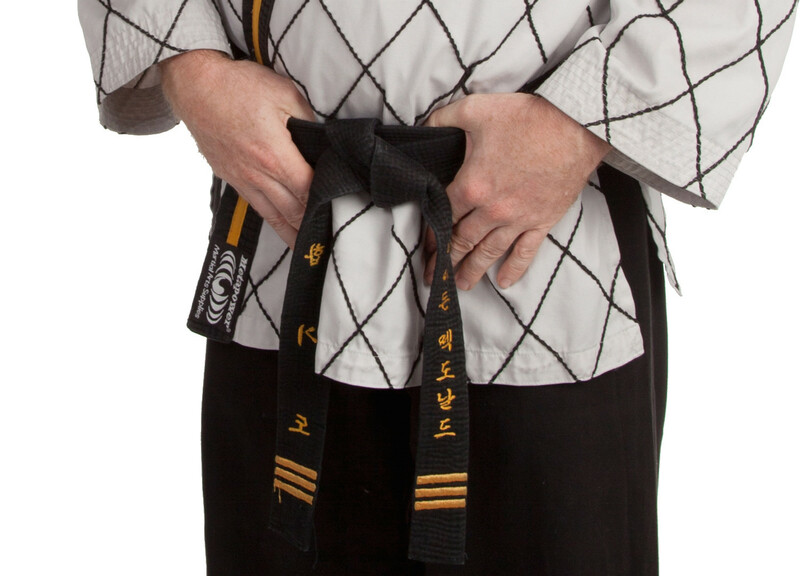 After 5 years of training in martial arts you’ll end up getting a black belt. Well, if you want a black belt in your time or a black belt in your business, you need to allocate the time to do the stuff in your business to get where you need to. So it’s very important to have a great business timetable in place. So, point number three, and the last point – and this is the biggest challenge most business owners have when it comes to being able to manage their time correctly: Stop being interrupted! Turn those emails off when you need to turn them off, turn your mobile phone off when you need to turn your mobile phone off. What you’ve got to do is get control of your interruptions. You know what, guys? If you tracked your interruptions and how many interruptions you had during the working day, I will guarantee 50 percent of your working day is dealing with interruptions; putting out fire in your business. So learn how to deal with them. Interruptions kill your ability to grow your business, so take control of them and you do that by going back to step 1: learn how to say no – very very important. So, guys there are some free really good points, and here at Black Belt Business we help thousands of business owners with their time management to ensure they get 10 hours a week back. So, guys, if you’re interested in that, what I want you to do – click the link below – that will take you to our events section. We have time management webinars every single month; literally every month we’ve got something to help you with your time management. So come and join us on one, and watch what can happen in your business and what can happen with your time. So that’s it for me. My name is Nathan McDonald, my passion is business, I’m an Aussie, and my message is global. Have a great day guys!